Playing the lead role of Georg is Rowan Witt. Fresh from treading the boards in his Helpmann nominated role playing Elder McKinley in the smash-hit The Book of Mormon, Rowan is well known at the Hayes after his portrayal of Bernstein in the Australian premiere of Dogfight. Playing the lead role of Amalia, Georg’s co-worker, is Caitlin Berry, who returns to the Hayes after appearing in Melba. She has also performed in South Pacific, Lola Montez and Grey Gardens. Also returning to the Hayes after her performance in High Fidelity is Zoe Gertz, who will play unlucky in love, Ilona Ritter. Making his Hayes debut is Kurt Phelan (Dirty Dancing), alongside Jay James Moody (The Book of Mormon) playing the roles of Stephen Kodaly and Ladislov Sipos respectively. Joel Granger (Big Fish) plays Arpad Laszlo while Georgina Walker (Alice in Wonderland) and Suzanne Steele (Dream Lover) are ensemble members. Set in 1930’s Europe, co-workers at Maraczek’s Parfumerie, Amalia and Georg are in love - just not with each other. In fact, you could say that in their case, it was loathe at first sight! 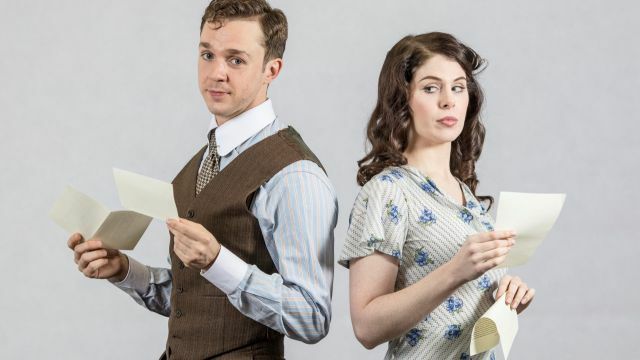 Whilst engaged in their ongoing and bitter feud, the pair unknowingly find solace in one another by conducting an anonymous and passionate correspondence through a lonely-hearts column. The Australian creative team forShe Loves Me includes director Erin James. James is the recipient of the inaugural Artist-Led Initiative and has performed in numerous large-scale productions including GFO/ Opera Australia’s My Fair Lady and The King and I. Joining James is musical director Steven Kreamer (Assassins, Little Shop of Horrors) and choreographer Leslie Bell (Big River) with costumes and set design by Isabel Hudson (The View UpStairs, Dry Land) and lighting by Matt Cox (A View From the Bridge, Hamlet). This production is proudly sponsored by Frederic Marguerre and Rodrigo Martino. 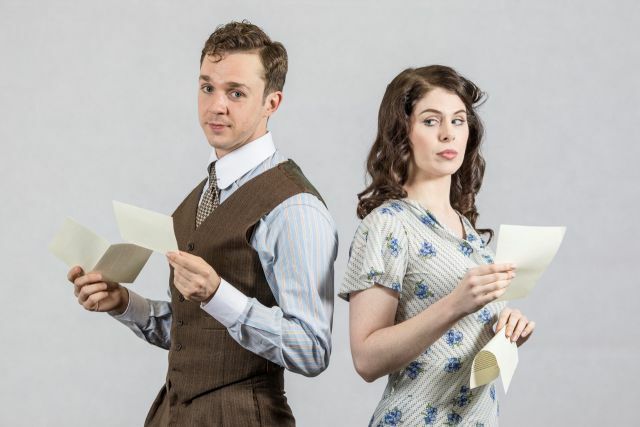 Tickets for She Loves Me are available now at hayestheatre.com.au or by calling the Hayes Theatre Co box office during business hours on (02) 8065 7337.